In 1885, there were fewer than 500 Italian-born in Providence; within a generation, over twenty-thousand. In Italy in 1889, Bishop Giovanni Battista Scalabrini’s society sent missionaries to Providence and formed the Holy Ghost parish to serve the spiritual and physical needs of this growing community. Plans for this Italian Romanesque church were made in 1901 and completed in 1909. Father Flaminio Parenti, the “Shepherd of Federal Hill,” led the flock here from 1922 to 1964 and continued the beautification of the church. The work of the Scalabrinian missionaries continues today as a lay organization, the Scalabrini Dukcevich Center, which provides support and services to all those in need. At Holy Ghost, there are masses in English, Italian and Spanish. Communities of Colombians and Guatemalans have joined the congregation, breathing new life into the old traditions. 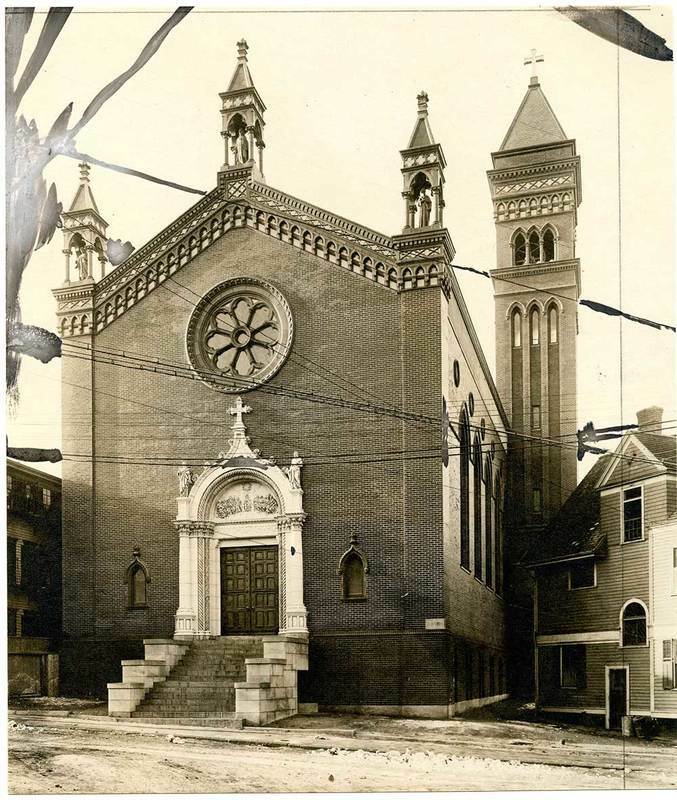 Holy Ghost remains the “Mother Church” of the Italian diaspora in Rhode Island and a beautiful testament to the faith and fortitude of the community. Early Photograph of Holy Ghost Church: Can you see what has changed since this photo was taken? ~ Source: Rhode Island Collection, Providence Public Library. If the church is open, the interior is well worth a visit. Look for the sculpture donated by Antonio Cappelli. 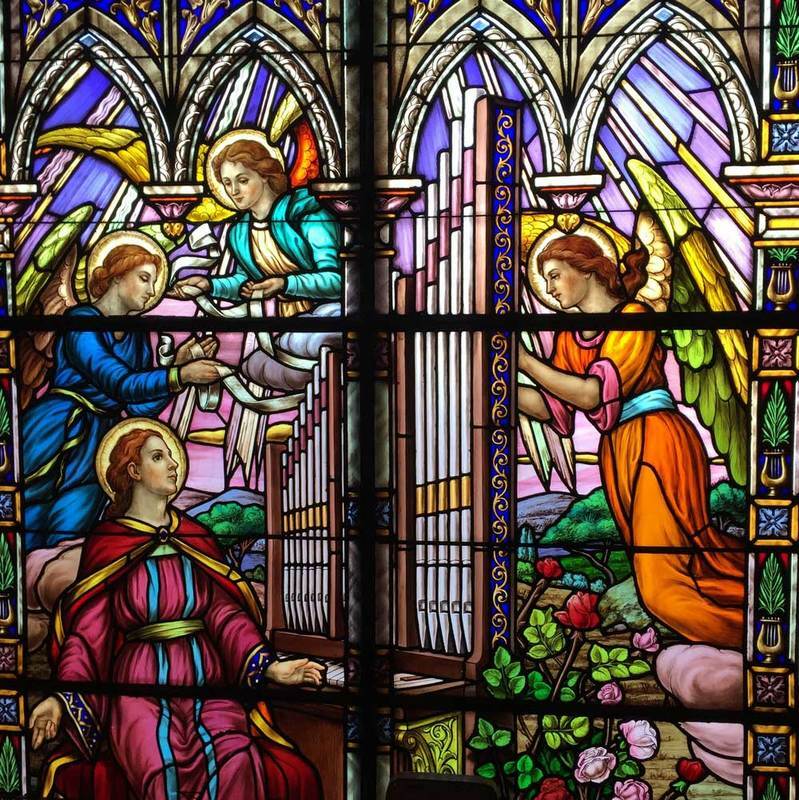 Taylor M. Polites, “Holy Ghost Church,” Rhode Tour, accessed April 21, 2019, http://rhodetour.org/items/show/155. This work is licensed by the John Nicholas Brown Center for Public Humanities and Cultural Heritage, the Rhode Island Historical Society and the Rhode Island Council for the Humanities under a Creative Commons Attribution-NonCommercial-ShareAlike 4.0 International License.